Three people were killed and three others were hurt after a woman opened fire Thursday morning on the campus of a Rite Aid distribution center in Harford County, Maryland, authorities say. The shooter, a 26-year-old woman who worked at the facility, later died of a self-inflicted gunshot wound. The Harford County Sheriff's Office identified the woman as Snochia Moseley. Moseley was taken into custody and to a hospital after she apparently had shot herself, Harford County Sheriff Jeffrey R. Gahler said at a news conference. Police did not immediately release the names of the victims. 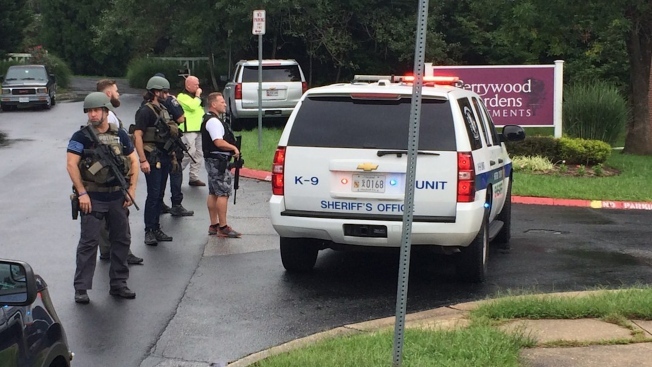 The suspect lived in Baltimore County and was a temporary employee of the Rite Aid facility. She reported for her work day as usual, about 9 a.m., and then opened fire inside and outside the facility, Gahler said. Officials said they do not have information yet on a possible motive. Information on Moseley's relationship with the victims also was not released. The shooting was reported just after 9 a.m. at the Liberty Support facility, which is part of a Rite Aid distribution center. 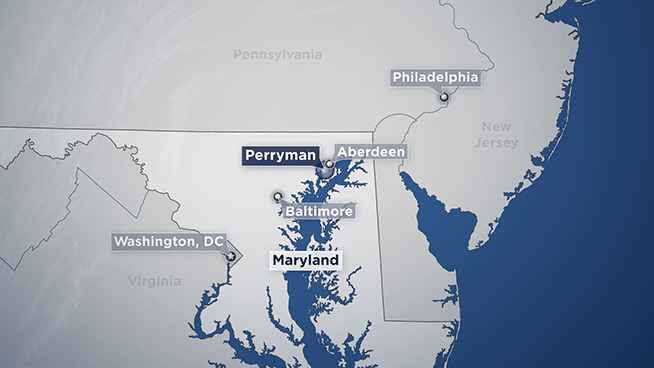 The facility is located in Perryman, Maryland, about 30 miles northeast of Baltimore. "We are so preliminary in this investigation," Gahler said. "It's so important that we deal in facts." He said authorities don't want to "make it worse" for the families involved by giving out premature information. It appears only one weapon was used — a 9 mm Glock handgun that was registered in Moseley's name — and no shots were fired by responding law enforcement officers, Gahler said. The shooter had two or maybe three magazines for the gun. He did not know how many shots were fired. A spokeswoman for the sheriff's office said officials were confident that the suspect acted alone. There is no additional threat to the area, officials say. At a nearby fire station, family members waited for hours to be reunited with loved ones. Police blocked off the road outside but waved in cars driven by people who said they were there to meet up with people who were at the distribution center. Reggie Rodgriguez's mother works at the distribution center. His wife had tried calling her numerous times but got no answer. "I was calling her all morning. It went to voicemail because they keep their phones in lockers," said Kelly Rodriguez, 40. When they finally reached his mother Thursday afternoon, Reggie Rodriguez said, "That's all I wanted to do: Hear her voice." His mother was uninjured. He said she sounded relieved the crisis was over. Alexie Scharmann, an Aberdeen resident, told NBC affiliate WBAL in a phone interview that her mother was inside the building where the shooting took place. She said her mother sent her a text message saying there was a shooter in the building and that she was hiding. "That's the last thing I heard from her. I have no idea what's going on. That's the only thing I can do is watch the news and pray," Scharmann told the station. Then, she said she got a text message from her sister saying that her mom was safe and outside the building. Mike Carre, an employee of a furniture logistics operation next to the distribution center, said he helped tend to a wounded man. Carre locked the doors of his workplace after the injured man came hobbling in, bleeding from his leg. He called 911 from a bathroom before helping colleagues wrap the man's blood-soaked jeans above his injury to cut off blood flow. Authorities asked anyone who still was in the building to dial 911 so deputies could find them, the sheriff's office posted on Twitter about 12:40 p.m.
Gahler said a 911 call about shots fired came in from the Rite Aid distribution center at 9:06 a.m., and deputies and other officers were on the scene in just over five minutes. A WBAL journalist briefly spoke with a family member of Moseley. That person declined to comment. The shooting comes nearly a year after a gunman opened fire inside his workplace in Edgewood, Maryland, shooting five people, killing three. Edgewood is located about 10 miles from the site of the shooting Thursday. 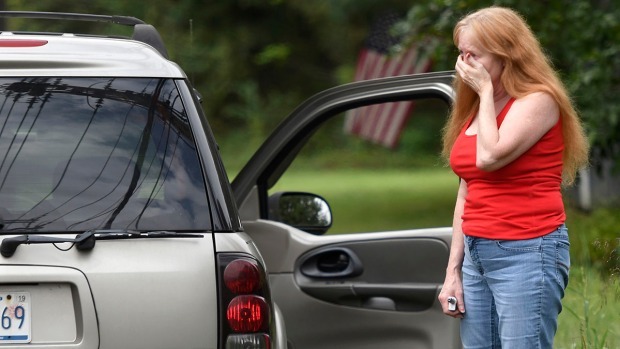 "Another tragic event for us in Harford County," Gahler said. "We've stood here before, and we stand here yet again today." The attack also comes nearly three months after a man armed with a shotgun attacked a newspaper office in Annapolis, Maryland, killing five staff members. Authorities accused Jarrod W. Ramos of attacking The Capital Gazette because of a longstanding grudge against the paper. Harford County Executive Barry Glassman said that unfortunately, incidents like this are "becoming a too-often occurrence not only in Harford County but in the country." Anyone with information for police was asked to call 410-838-5800.